On July 16th 2018 we celebrate 38 years since the first show with the classic lineup, with Simon Le Bon on lead vocals. The show took place at the Rum Runner on July 16, 1980! Duran Duran has been in the spotlight recently with the airing of the long awaited Duran Duran BBC documetary which has been in the works for months. On June 29th the band took over BBC Four for one night. The amazing documentary features previously unseen archive footage and rare demo tapes, as well as the group's memories of the 40 years that have passed since they first formed in 1978 in Birmingham. The Paper Gods Tour went on for two years, from June 2015 to September 2017, it didn't touch as many countries as the band hoped to, but everywhere it went was a huge sucess, reaching new records, in terms of audince partecipation, such as in South America and in Italy where they played to oceans of people... not to mention the extraordinary UK tour and the amazing US shows with Chic. After the Budokan shows, in September 2017, there have been a couple of private parties appearances here and there. Continue reading, click and access an extensive update filled with news, info and lots of great pics! Last month Sonos, the leader in smart home sound systems, opened its first European concept store; a retail, exhibition, screening and listening space. Inspired by Sonos’ flagship store in New York. Celebrating music culture, past and present, the space will play host to an ongoing line-up of listening events, screenings, cultural talks and installations. The first of these events held back in November 2017 celebrated David Bowie, modern music’s most unrelenting innovator, whose singular sound and vision impacted generations and continues to play a vital role in shaping the musical landscape of London and the world. Alongside this, on the 15 & 17 November Sonos presented Song Stories: Bowie – a series of intimate events hosted by Miranda Sawyer, honouring David Bowie’s work and legacy, as told through the powerful stories of artists and fans alike, including Nick Rhodes, Graham Coxon and Peaches. The event lent a voice to creators inspired and influenced by Bowie, and gave fans the opportunity to hear their original stories paired with the songs that best accompany them. We were present and we are glad to report about this special event in the best way we can, through words, videos and pictures. July 14th, 2017 | Syn Music, the company owned by Nick Wood and Simon and Yasmin Le Bon, is living a great moment marked with successful and fruitful works, they set up contracts between Square Enix, Ariana Grande and Final Fantasy to create Grande’s character in Brave Exvius and went on to present them with an orchestral remix of Ariana Grande’s ‘Touch-It’ for the launch. They also started a commercial music partnership with global agency BBDO. 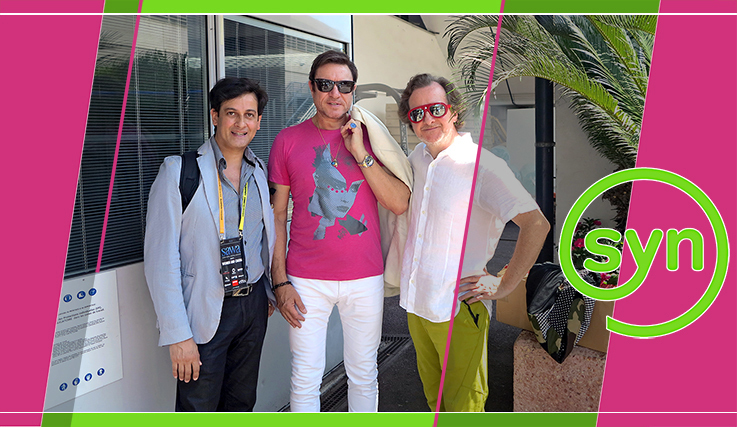 With offices in LA, Beijing and Tokyo they are able to appeal to both Western and Asian audiences.On June 17th Simon and Nick flew to South of France to take part in the Cannes Lions Festival of Creativity. They were part of the festival Top 20 Speaker with their session titled “Beyond An Ordinary World: How Collaboration Inspires Ordinary to Extraordinary”.Edith Bowman cleverly brought out their background stories, giving insight to how such collaborations work in practice. The energy in the room started excited and finished electric as Simon Le Bon and Nick Wood rolled out some of their best examples of creative music collaboration.We were present and took note of every single word, so we are now offering a transcription of the entire session and some nice pictures taken that day. We also want to share a little audio clip of a lovely early version (featuring some of the finest vocals by Mr. Le Bon) of Closer to Your Bed, the song that Simon and Nick co-wrote exclusively for the Cannes Lions event. Click to access the report! 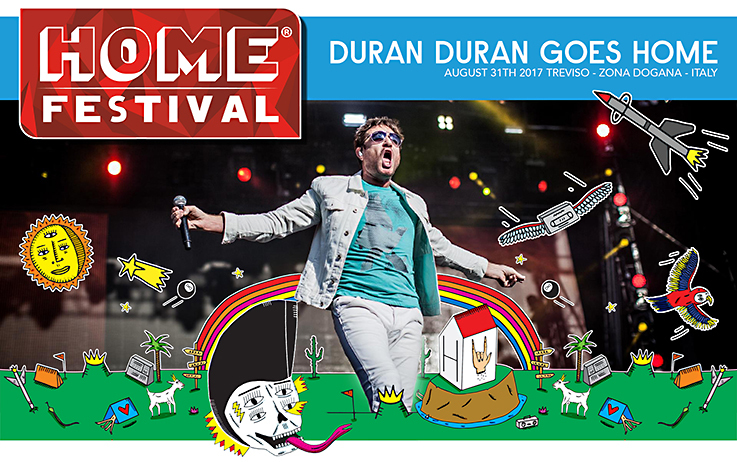 June 29th, 2017 | Duran Duran, Liam Gallagher, Justice and 200 more artists at this year HOME Festival in Treviso, Italy. 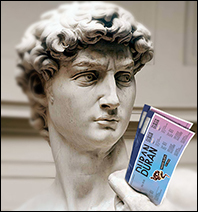 If you haven't witnessed a Duran Duran concert in Italy, this is your chance to visit the Venice area and see the Wild Boys in action with one of their warmest audiences! Click here to get all the info! May 12th, 2017 | Seems yesterday but Out Of My Mind is 20 years old today. Here at duranasty.com we think that is the most underrated Duran Duran song of the 90s, a real gem under every aspect, musically, lyrically and visually. 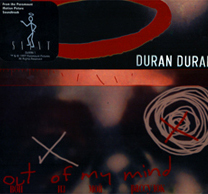 "Out of my Mind" is probably one of the best songs of the second Duran Duran era, the 90s. The deep haunting base line and minimalistic tones are great accompaniment to the beautiful lyrics and vocal track, a perfect blend of electronics and beats that creates a fine masterpiece. Probably one of the band's best ballads of modern times and surely one the most underrated Duran Duran songs ever.This is our celebration of this little diamond in the Duran Duran music universe. The special page is filled with exclusive contents such as interviews, unseen photographs and rare stuff. Click here to access the special celebrative page! 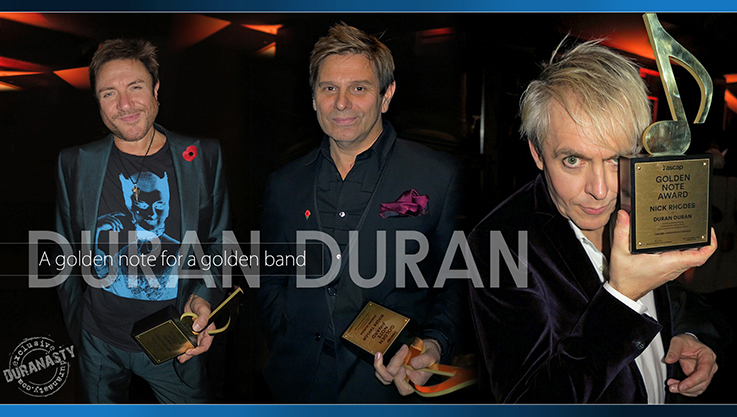 November 17th, 2016 | One week ago the American Society of Composers, Authors and Publishers handed out their Golden Note Award to Duran Duran in London, at the ASCAP Awards. The event, held at London’s One Embankment, on 10th November also recognized artists Jess Glynne and MNEK with the Vanguard Award. 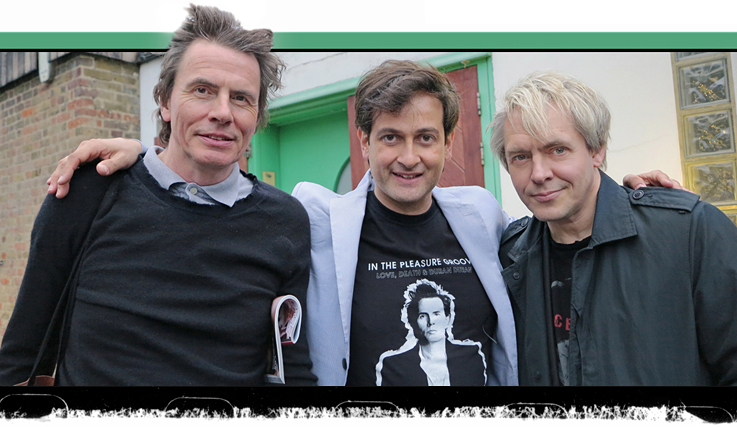 Duranasty.com, your Duran web-zine, was among other media invited to document and report on such an historic moment in the band's career. It doesn't happen everyday to be honoured for the real essence of your job, an award for songwriting that recognize the prolific work of this band, as and longevous authors in the music business for four decades. Click here to read the our report and to access exclusive pics! 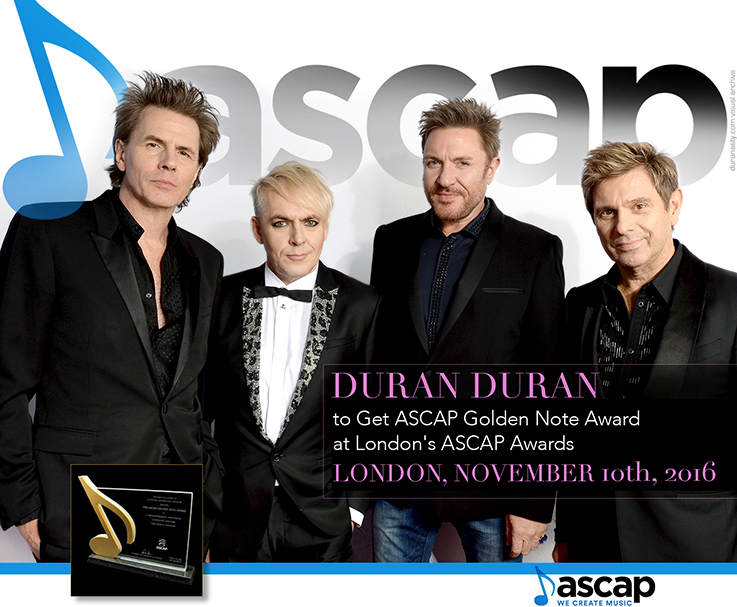 November 8, 2016 | The American Society of Composers, will honor Duran Duran with its Golden Note Award at the 2016 ASCAP Awards in London on November 10th, 2016. 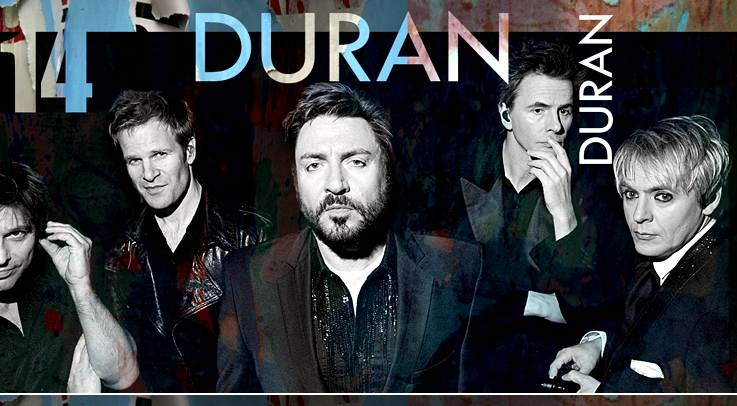 Calling the band "multi-platinum pop visionaries," ASCAP lauded Duran Duran for having written "four decades of hits." 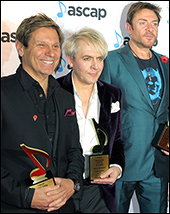 Singer Simon Le Bon, keyboardist Nick Rhodes, bassist John Taylor and drummer Roger Taylor will get the award at ASCAP's annual celebration of songwriters and composers at One Embankment in the British capital. May 17, 2016 | Only a few weeks since the Italian Paper Gods tour kicks off. We took the opportunity to interview Carmelo Costa, local organizer of the special Taormina concert. 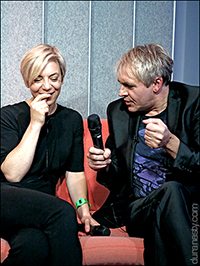 This update features also a translation of a fresh interview to Nick Rhodes on coming back to Sicily, his Sicilian girlfriend and the future of the band. 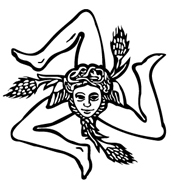 The special page, fully dedicated to the upcoming Sicilian show, features also a nice gallery with some amazing pictures of the UK and US tour. Check it out! Click here to read the intervews! May 10, 2016 | Duran Duran has just concluded the first leg of the US tour where the band shared the stage with living legend Nile Rodgers and his band Chic; now they have five show set in Italy for June. These Paper Gods shows have a spectacular production, moreover are the only European dates [except for a few festivals] for this year. The show in Florence, where the band returns after 29 years since the legendary 1987 Strange Behaviour tour, comes as the outdoor concert for excellence. The show will take place at the Visarno Hippodrome, in the Visarno Arena, immersed in the Cascine Park. This could be also a great opportunity to visit one of the most beautiful, artistic and historical Italian cities. 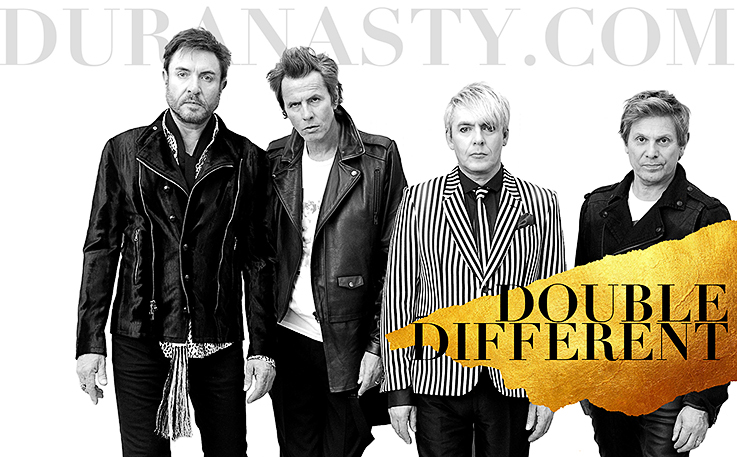 duranasty.com, thanks to the collaboration with Le Nozze di Figaro and Live Nation, is giving away two tickets for the Duran Duran concert at the Arena del Visarno in Florence [two general admission tickets, one for the winner and one for his guest]. 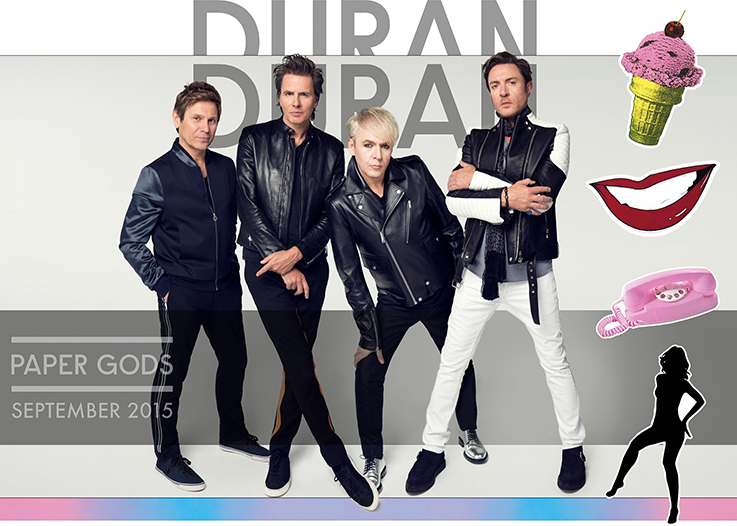 November 19, 2015 | Paper Gods, the critically acclaimed and commercially successful Duran Duran new album was released on September 11, 2015. 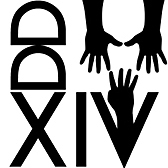 Duranasty.com, the longest running and active fan site, has taken time to collect material to release a full and depth special page about the album itself. 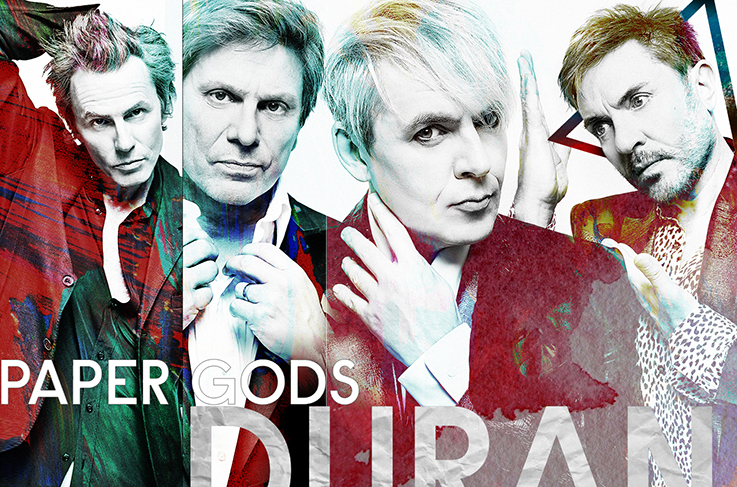 This special page, build with passion for you all to enjoy, is dedicated to the masterpiece that we have been been waiting for almost four years, not only is a tribute to Duran Duran's Paper Gods but also a guide to the album tracks through the guys own words, taken from the their most recent and interesting interviews released around the world. Quotes and reflections on the album, a song by song guide, a complete Paper Gods international press display, all filled with eye catching visuals featuring some of most fresh photographs. We just hope this new installment matches the usual duranasty.com standard and will please you mind and eyes. Enjoy! Click here to access the full installment! Tomorrow starts the general public presale on Eventim. The sale goes live at 9am UK time! April 26, 2015 | This year is going to be memorable for Duran Duran and their fans as the band is going to release their new record. The band has recently finished mixing it and they just signed a worldwide deal with Warner Bros. Records. The first single from the new album is "Pressure Off" featuring vocals from R&B star Janelle Monáe; The songs sees a team of producers: Mark Ronson and Nile Rogers, the latter is credited both, for playing guitars and for producing the vocals. Two years in the making, the new album promises to be the hottest album of 2015. The album will be released in September, while the first single, "Pressure Off," featuring vocals from R&B star Janelle Monáe will be released next month! 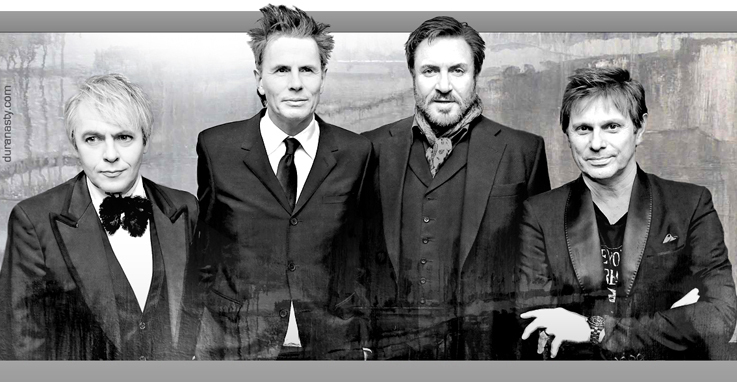 January 17, 2015 | Duran Duran will be playing at Wilton Music Hall [250 capacity], in London, on February 19th to help War Child UK to raise funds for all its great activities in help and support of the children victims of the war. You can support War Child to bring hope and safety back to children in war zones, after an unprecedented year of violence. For your chance to win a pair of tickets go here. 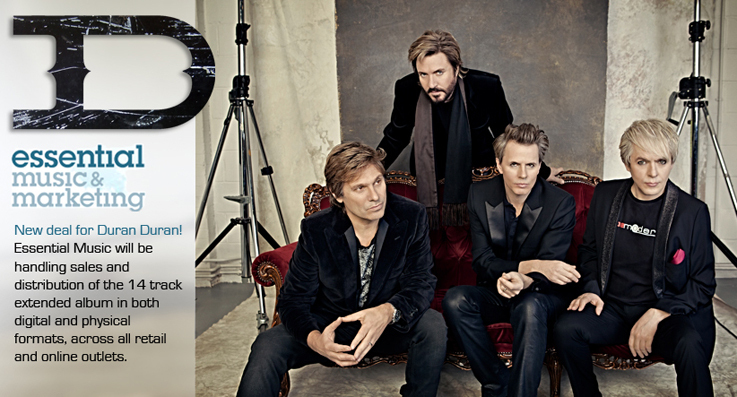 Each £4.50 entry gives you a chance of being at these incredible shows [including Duran Duran!] and at least £4.15 will go to War Child. Good luck you all! Duran Duran’s John Taylor says: “Thousands of children are innocent victims in the war zones of adult conflict around the world. They are often being denied education and other basic human rights. 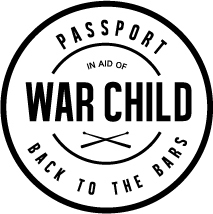 We are looking forward to performing an exclusive event in London this coming February, in support of War Child and the important work they do in the regions where these children are suffering. Click here to find out more about this special event! 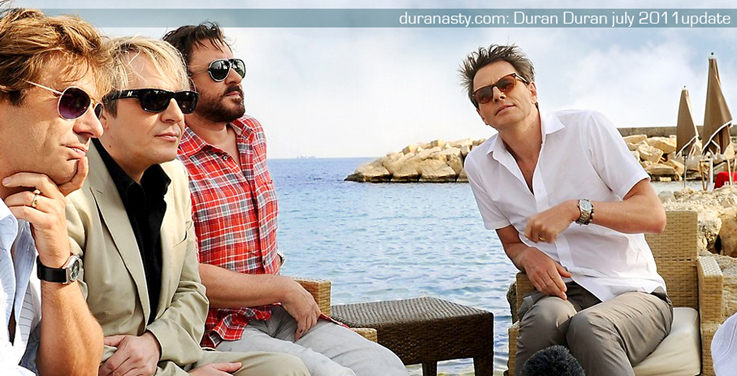 July 13, 2014 | With Simon Le Bon adding final vocals to some tracks in these days, Duran Duran is about to complete the recordings of their new album which the band aims to release in Spring 2015, hopefully anticipated by a single before the end of 2014. 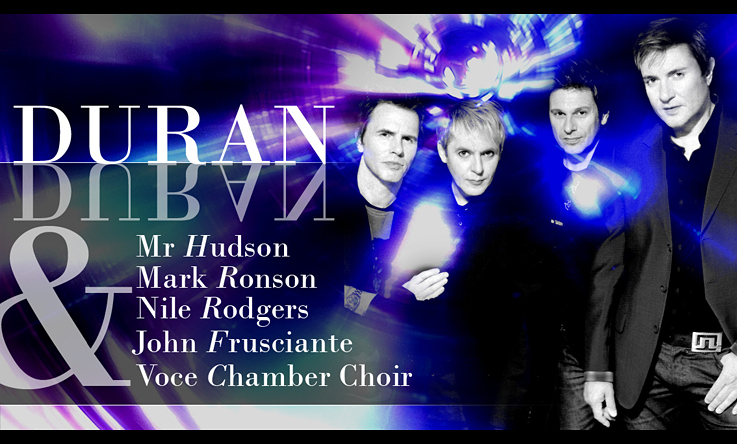 John Frusciante, Voce Chamber Choir, Mr Hudson and some others musicians not yet unveiled! Spike Stent on the mixing desk, the use of new musical technolgies such as the seaboard and, above all, the triple co-production team: Duran Duran/Mr Hudsnon/Mark Rosnon with the upcoming Nile Rodgers involvement to add, over the Summer, his funky touch to some tracks. The real revelation: Mr Hudson, the super-talented guy from Birmingham who brought a new boost of energy into the record, writing new song with the band and helping the guys tiding up some tracks, right when they most needed it, after the decision, taken early this year, to scrap part of the work done. Click here for more about the making of the new album [and lots more]! February 18, 2014 | The Duran Duran cell has been in the incubator for months and months, now is about to flourish | The cell called Duran Duran, made of four organisms, which has been incubated in a tiny studio for months producing material, is about to make the best of it, refining it while the singer is looking for the right words to match the notes. Everybody in the band is giving its contribution to what will be organic orchestration of elements. The music is there, copious, and it's about to explode in all it's duranish beauty... it's just a matter of months: a new album is expected by the end of the year! During the whole process [excluding the two weeks of jamming sessions with Mark Ronson at Dom Brown's studio back in March 2013] the guys have been working on this project all on their own, with just their recording and mixing engineer, so every decision has been taken by themselves. Can we say that this album until now has been self-produced by the band? We think so. The Definitive Duran Duran Album | We are sure the band is trying to achieve a milestone album, a real piece of Art, truthful and faithful to their artistic souls, an album that will stand the test of time. Duran Duran fans can be proud of this band. The last quarter of this year is gonna be fantastic with the arrival of new Duran Duran music and 2015 even more with a new Tour! If you want to know more about the making of the new album just click here! October 27th, 2013 | Today all the Duran Duran fans, including me, are celebrating Simon Le Bon's 55th birthday, what a milestone! Congratulations Simon a very happy birthday from us all! Simon and us have something more than his birthday to celebrate... in fact this year is Simon's fiftieth year on the scene! A 50 years long career! Simon has started modelling, then acting in commercials when he wasn't even 5-years old so we can surely say that he has been on stage for 50 full years. 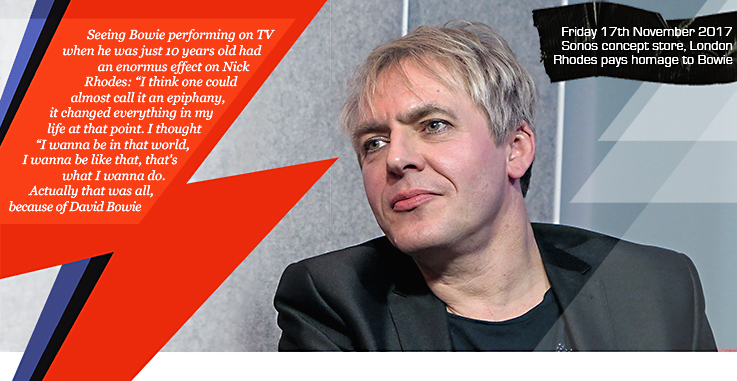 He certainly is the one who has been in the show business longer than any other member of Duran Duran. 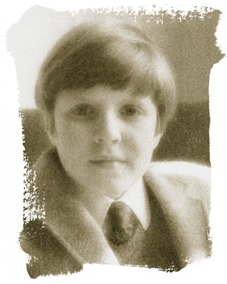 We want to pay homage to this special anniversary celebrating Simon's early years on stage as actor, choir boy and singer. Those years, the 60s and 70s, are probably the more obscure ones so it's worth to explore them a bit. 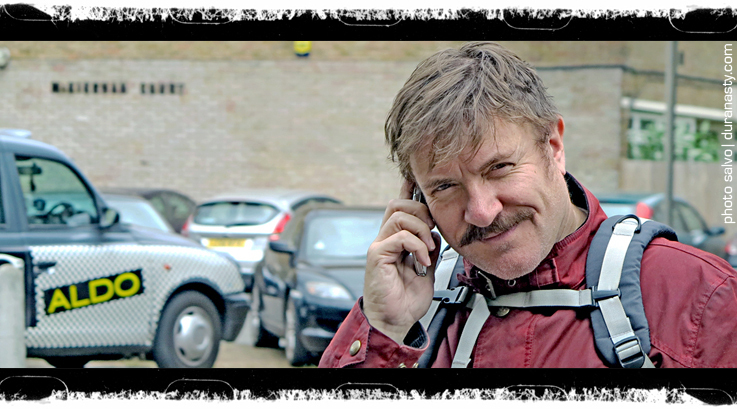 A study about Simon Le Bon early career | I opened my Duran Duran archives to share with you some cool documents, some really nice and unseen photographic gems and I also interviewed a couple of interesting gentlemen who worked with Simon when he was just a little boy, the Music Director of the Pinner Paris Church, where Simon started singing as a choir boy and Dougal Rose, one of the actors who played alonside Simon in the Tom Brown's Schooldays musical, back in the early 70s. 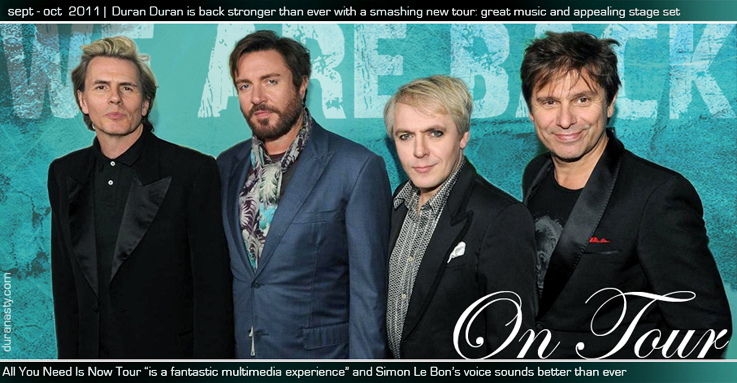 Go to the special installment all dedicated to Simon Le Bon early years! October 6th, 2013 | Over the last couple of days I have been in touch with the Charles Marion, a great photographer specialized in reportage and marine photography. Charles has been following the Voiles De Saint Tropez regatta the whole week so I asked him if had spotted Simon on board of Hamilton during his work as action photographer on the water. Well, the result of our nice chats is this lovely bunch of pictures that Charles has basically taken for us! Keep on reading and get these great pictures! July 16th, 2013 | Over the last few months the band has been working intensely on their new album, whose working tiltle is still unknow to the public. They have been writing and recording in their small London studio with Joshua Blair, the recording and mixing engineer responsible for engineering "All You Need is Now. A small studio, according to Simon, with a very small piece of equipment compared their old studio setting... "we used to spend a lot more time writing out of the studio, now we do much of our writing inside the studio". It’s an ongoing process as always says Nick | Let's make the point of the status of the making DD N°14 | This installment is basically about the progress made in the making of the album, so the page is filled with comments and news that the band members have released through their official different websites and social media, but there's also the fan point of view... as I recently went to UK and had the great pleasure to met the band. I spent a few, but always special, moments with the guys. So this post is enriched with that personal aspect and some new candid pictures of the guys. Hope you like it! Here is a full installment with News and Pics waiting for you! Just click and enjoy! May 23, 2013 | The band is back in the studio to record a new album. 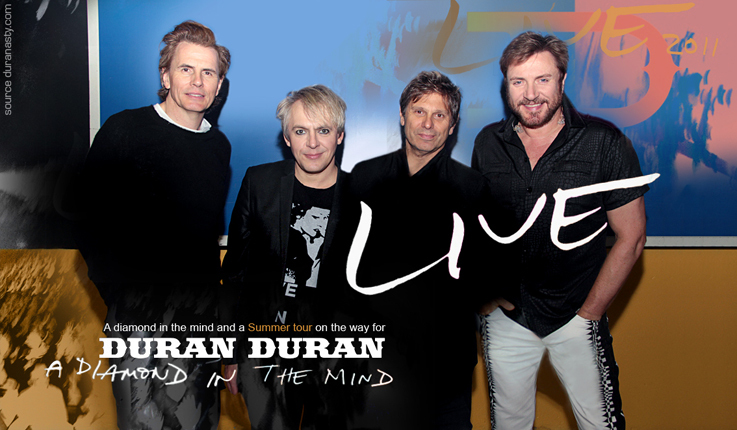 This one will be the bands 14th album as Duran Duran enter into their 35th year! On Monday the 4th of March Duran Duran has reconvened in the studio after a six month hiatus to start writing the new album . They started jamming and put ideas together at the new Dom Brown's studio but they are back to their usual studio in South London, where, according to Simon's tweets, they have concluded the second writing session on April 18th. They guys have been working, in an alternating mode, also in May and they recently concluded their third recording session. It all sounds very promising, the guys have been talking in a very positive way about this new writing and recording phase and fans could not be happier to hear that their favourite band is still so enthusiastic about the future and so productive. The Point | This new edition of duranasty is mainly dedicated to the just started band's creative and recording process; we are going to look back together at the recent comments, interviews and official statements that the band released trough the media and different sources. Just hope this new installement will be a nice way to the make the point on the actual status of the band trought most interesting interviews and news released over the last few months. Something new | since many of you enjoy our updates from a mobile or tablet rather than a computer we decided to split the updates in different pages rather than just put all of them in one page [with consequent slowness downloading the images], in this way the pics will load more easily and will be also easier to link back a specific subject in the social media if you like. Hope you enjoy this new format, I'm always trying to improve the way to offer you a new update and I hope you appreciate the effort. There's a full installment with News and Pics waiting for you! Just click and enjoy! 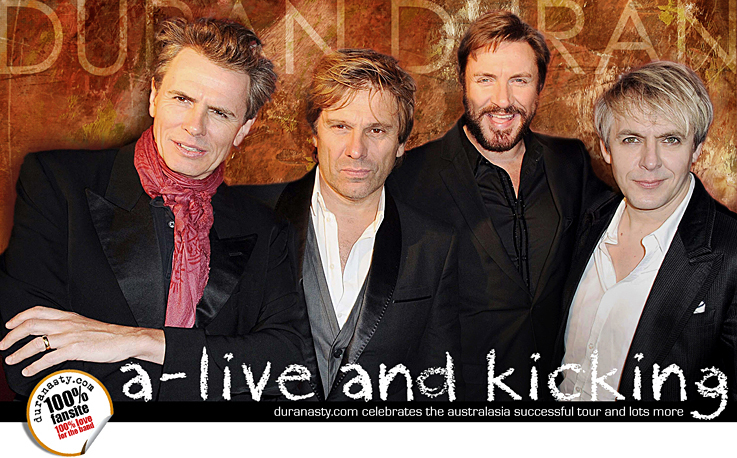 January 5, 2013 | First post of the year 2013, Happy new Duran-year! 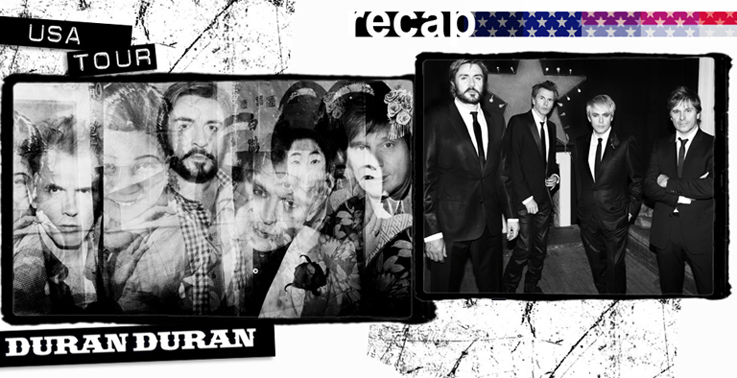 The main news is: the band will re-team with Ronson to work on the next album in March 2013! Even if the guys are on a well deserved break they are already planning the band's next moves... According to John the band had a conference call with Mark Ronson recently. He reports on the official site "All systems are go for a return to work in the studio first week of March. I could not be more excited about that" says Nick. "I'm very very happy that we are gonna be working with Mark Ronson again. We all feel that it was the best combination we had in many many many years. He clearly understand us well, and we had a lot of fun togehter so that is a good sign." John continues: "I’m thinking maybe this is going to be the best album we have ever made. I have to think like that, even if it’s delusional. It’s always possible. You’re dealing with energy and chemistry. It’s like catching a spirit in the air. It’s difficult because we write together, and we protect that process. One of our greatest strengths is that we write democratically, as a team. But it also has its downsides. It can be a clumsy way to work, at times. But everybody’s happy to work that way. There's a full installment with many news and pics waiting for you here! click and enjoy! 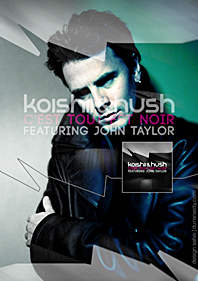 December 18, 2012 | Koishii & Hush [Simon Langford & Alex Hush], the production team hailing from both the UK and Canada has teamed up with John to bring 2013 a brand new sound. Somewhat soulful, a little sensitive, and definitely catchy. “C’est Tout Est Noir“ is a genuine blend of pop and electronic, combining the best of both worlds. We got the chance to interview the duo about the upcoming release, they were cool enough to answer all our question about the song defined by John as the follow up to ‘I Do What I Do’. salvo@duranasty.com | Can you tell us about the collaboration with John Taylor, how it started? Were you introduced to him by mutual friends in the music business or you just got in touch and offered him to take part in the project? Koishii & Hush: For our album, we had a wish list of people that we wanted to collaborate with and John was one of them. We approached him with our idea and luckily he was interested... Read the full interview Here! 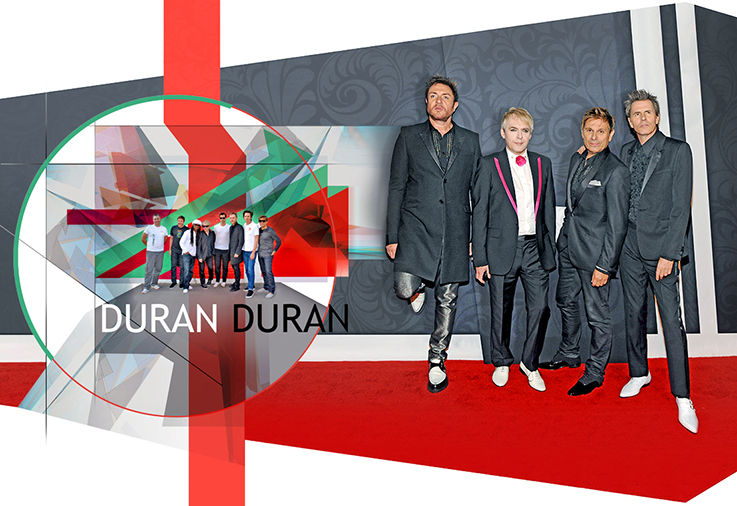 July 9, 2012 | All the Duran Duran fans are ready for this new chapter of the Duran Duran history! Methaphorically speaking this is the conclusive chapter of the 'All You Need Is Now' book... Duran Duran has a fantastic summer ahead, including tours in the U.S. and Europe and a concert in Hyde Park for the opening of the Olympic Games. 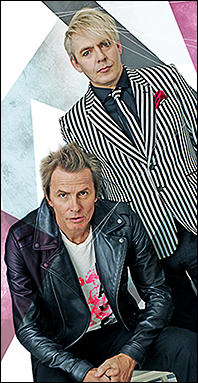 John's autobiography and Nick & Warren's TV Mania project will be released in the fall and in February 2013 the band will reconvene into the studio to start writing new material with Mark Ronson; according to this interview the band hadn't really talked about the new direction the album might take but Nick thinks "it would have to be a logical continuation of All You Need Is Now, maybe, Rhodes says, something a little more funk... something with one's eye on Notorious actually..."
click here for the full post filled with news, reports, pics, scans and more! May 1, 2012 | In a recent Katy's Kafe Roger Taylor talk about the band's intention to go back into the studio early next year after taking a bit of time off. Roger's spontaneous and candid statement is all the fans needed now! The way Roger speaks lead us to think that the guys already know who will be producing their next work. Roger: "Well, we are talking about early next year actually, I can't say who we're gonna be recording with... at this point... cos I'm sure that's going to be a big announcement in itself. But, I can't possibly announce myself, right now. But, it's exciting! And, yeah, we're gonna have a bit of time off after these run of dates, once we've been around the US again, and we'll have some time off, and restart next year, early next year." April 8 2012 | Happy Easter! | The band has just concluded a successful australasia tour. They played 10 shows in 20 days travelling from Dubai to Singapore, from Seoul to Hong Kong heading to Australia where they played six more fantastic shows. 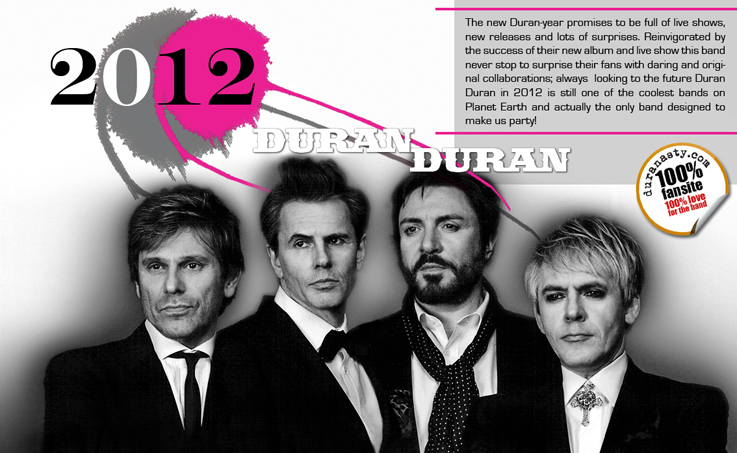 Meanwhile Duran have announced some more dates of their Summer 2012 tour. Thus far, 10 European and 12 North American dates. The question is: Is the band ready for a new album? John Taylor in a recent intervierw says: "I have no idea what next year is going to look like, I have no idea what the next music that we write is going to sound like. I have no idea who’s going to produce the next album; if there’s even going to be a next album! I just don’t know. I’m up for it; if that’s the way it rolls out. When you’re in I think we always have to keep the energy flowing, there’s nothing worse than art that’s devoid of energy and new ideas. Otherwise it starts to get flat and boring, and we’ve been through phases like that. Anybody that’s been making albums for 30 years is going to have flat and boring albums in that mix, you just have to make sure the next one isn’t one of them." This new installement is almost entirely dedicated to this new recent chapter of the All You Need Is Now World Tour. We have some cool reports and reviews from our friends around the globe, pics, exclusive scans and video downloads. click here for the full post full of reports, news, lots of pics, scans and more! February 27, 2012 | Hi all! It's been a month since the last site installment and I'm so glad to finally deliver this new one... updates are becoming increasingly rich, long and full of stuff just because our band is active and productive, so there's always a lot to report about and share with you all. 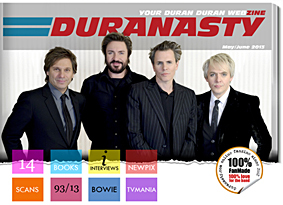 It is a real pleasure to inform you that this month we celebrate the 10th anniversary of duranasty.com, it seems yesterday that I started this site switching from writing Duran reports and reviews for photocopied fanzines to writing on a html editor... trying to put into practice my first knowledge of web design. Here we are 10 years later. Hope you enjoyed the ride that made us go through an exciting reunion, three albums, different collaborations, three world tours, many lifetime achievements and a lot of little big things in the duranuniverse. March will be full of shows and we'll have a lot to look forward to from a mediatic point of view with new interviews, pics and reports from Australia, Korea, South America and so on. So before we turn the page of the Duran Duran book to read another chapter we want to look back at the first leg of the Euro tour. So this new installament will be filled with all the regular current news [just below] and reviews, pics, scans and interviews regarding those two incredible weeks of european shows. Enjoy! click here to read the full post which includes reports, news, lots of pics and scans! January 16, 2012 | Just a few days at the start of the first leg of the All You Need Is Now European tour in Klosters, Switzerland... and it's all again very exciting! The guys have been doing some interviews over the latest days with Swiss and German media in support of their euro shows. Some interesting news are starting to leak. Here is what John answers in the exclusive interview published on the current issue of Swiss News magazine to the question "What does thefuture hold for Duran Duran?" I think that we are going to be playing concerts until the end ofthe next summer, and then, maybe we will make another video. Girl Panic has been such a blockbuster hit that we are now thinking of doing something else - similar but different. This is as far as we have planned, but the end of the road is nowhere near in sight. We have to wait for the Rolling Stones to break up first, and then start to count clown ten years or so! But seriously, we can’t give it up — we are having too much fun! There is a sense of rebirth in the band at the moment and we are riding it. click here to read the full post which includes news, pics and scans! 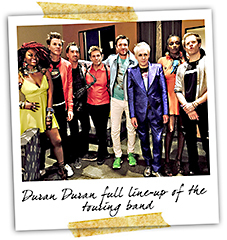 Jaunuary 6, 2012 | "The entire band are in unison- absolutely fabulous tour darlings, a terrific closing to an extraordinary year for Duran" John Taylor." In a recent message to the fan-base the band says: "Together we have achieved things this year that we are incredibly proud of and that have been real career high-points for us. We are incredibly grateful for your support on each and every one of these - and for sticking with us over the summer when we lost close to five months worth of touring." click here to read the full installment filled with news, pics, scans, reviews and more! November 16 | Duran Duran were one of the attractions of SWU Music & Arts Festival, held on november 12, 13 and 14 in Paulinia, São Paulo. They played on the Energia stage for 75 minutes in front of 45000 people. In an interview with the brazilian website Terra, John Taylor said "Festivals are true celebrations of music". Our friend and correspondent Faby Torras and her friends have traveled from Argentina to attend this great event. Faby has just sent a nice report of her fan experience in Sao Paulo, check it out! click here to read the full report from Sao Paulo! November 5, 2011 | There is much excitement in Duranworld for the upcoming premiere of the Girl Panic! video happening at Harpers Bazaar 'Woman of the Year' event in London [Claridge’s Hotel in Mayfair] on Monday november 7... At this point the guys should all be back in UK preparing for this huge event and hopefully for some more media promotion and buzz that the video will certainly generate... 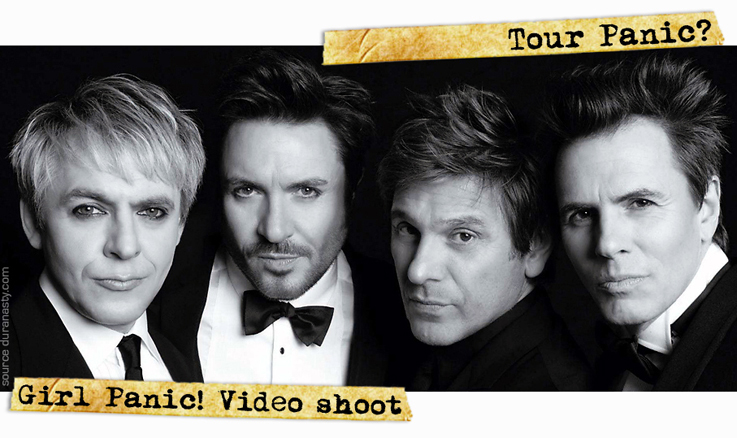 But before we turn page and look to another chapter of the Duran Duran history about the guys touring the UK we want to look back... not too far... We want to celebrate, with this new installment, the successfull North American Tour and post some other interesting little news, scans and pictures! Read it all by clicking the link below! click here to read the full installment and get more reports, news, scans and pics! October 3, 2011 | Hi everybody! It 's been a while since the last site update and I hope you haven't missed the site that much... I'm happy to be here with a new installment about this new fan-tastic chapter of the the Duran Duran history. Duran Duran's North American tour has kicked off in Everett, Washington, and they already played in Portland, Saratoga and just some days ago a they played successful shows in Los Angeles and Las Vegas.The North American tour will end in Atlantic City, NJ on October 29. Highlight of the tour will be the Madison Square Gardens show on October 25. The Duran guys have been enjoying some holidays before the band reconvene in London next week for a new rehearsal session. John has been posting pics as he travels around the british countryside these days while Simon has been sailing for 1 week on the Adriatic Sea with his family. He left Split, in Croatia, on july 3 and arrived to Venice on the 10th. click here to read the full post and get some cool news, scans and pics! click here to read the full post and get some exclusive pictures! June 10 | I hoped to deliver you reviews and pictures of the Berlin and London shows... I hoped to write about their great performance, the amazing stage [the band has been rehearsing in a large scale stage and theatre productions studio rather than the usual studio so I assume the stage and the lighting they had for the Uk tour were massive], about their new look and so on... but I can only report about my recent meeting with the guys in London, in the days when they announced the O2 postponement and when they probably decided what to do with the rest of the Uk tour. 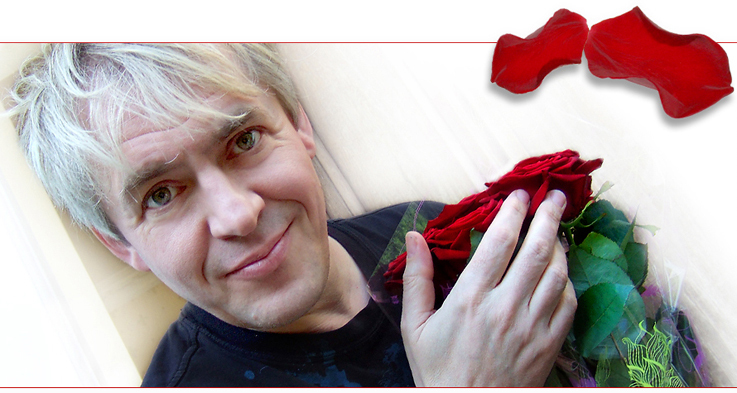 To paraphrase Nick Rhodes, the last few weeks have been "a little tumultuous..." Berlin has been postponed two times and the Uk tour will be probably rescheduled in November/December 2011. The first five shows of the european tour have been postponed and we still don't know how this situation will affect the remaining scheduled shows but I guess everybody, at this point, is prepared for the worst so it won't be a surprise for anyone if the band will be forced to postpone some more shows to make sure that Simon gets better and returns at his best and with his voice 100% recovered. If you want to read more, including news about the Girl Panic! video shooting in London and get also some new exclusive candid pics click the link below. Press release | Following tonight’s postponement of Duran Duran’s Newcastle show, the band have been forced to reschedule their Scottish date [originally scheduled to play tomorrow -May 19- at Glasgow’s SECC] on doctor’s advice given today to singer Simon Le Bon, who has been diagnosed with laryngitis. So, while everyone is excited about the upcoming Uk tour which promises to be as memorable as the reunion one, let's just relive what the band has been up to in the last two weeks. NRJ Energy Fashion Night, Hallenstadion, Zürich, Switzerland. Cannes, France: show at the launch of Belvedere’s RED at House of Hype. May 8, 2011 | This new duranasty.com installment is all about the memorable american tour, for everyone who wants to relive almost two months of work that the band has done in Usa [including Canada till the last date in in the Dominican Republic]. This post is filled with lots of great pics, galleries, magazines and newspaper scans so there's a lot to watch, read and save for your Duran Duran collection. 'Big' is the only way to celebrate the great Us promotion, which included many acoustic gigs [Simon, John, Dom and Ana], radio, some tv and of course the concerts. Big is also going to be this installment that will focus on the major Duran Duran events and the most interesting news and pics. At the end of the page you'll find also some cool info and tidbits including also a TVMania, a SYN and Reportage upadte and some very interesting news about the european tour. Enjoy it all! Till the next time. click here for a new extensive installment: the American tour and more news! 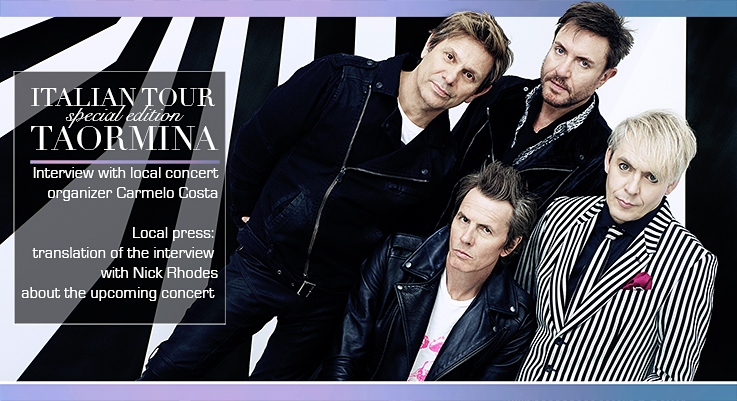 March 16 | Duran Duran's visit to Milan in late february was originally announced as a special event/show organized by Vogue Italia and Comune di Milano within the Milan fashion week but it became more that what we all expected. It actually became the proper high profile European launch of All You Need Is Now with a huge exposure for the band as the amount of media coverage [national and international], and interest were great! Exposure was multiplied also because of the Fashion Week as Milan was at the center of the international media attention and of course the guys didn't miss the chance to attend fashion shows and parties in the city. Duran Duran's trip to Milan started on the 23 of february and ended on the 27 and it included also a full promo-radio day, a press/media day and a national sunday afternoon tv show. I have been lucky enough to see the guys over the 5 days in different location and situations. I had a great time with the guys, with my long time duranie-friends and also living the beautiful atmosphere of the Milan fashion week. 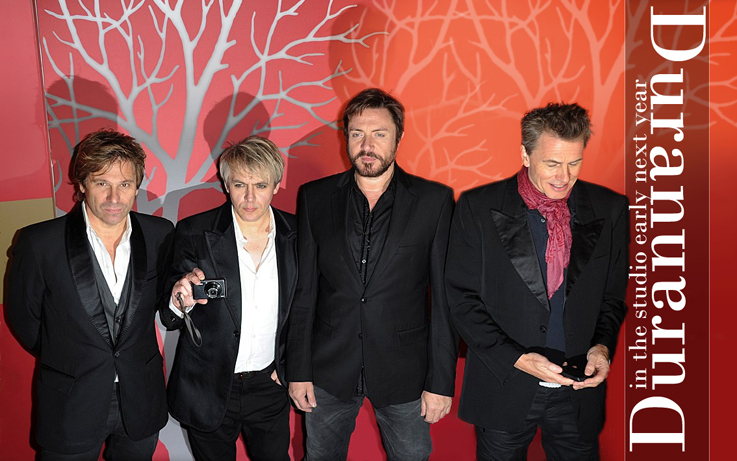 On February 25, 2011 Duran Duran, were rewarded by Milan Major Letizia Moratti as innovators not only in music, but also in the costume and fashion. The same day band performed at the Vogue Party organized at Teatro dal Verme thanks to the patronage of the Milan Municipality and to the sponsors: Peugeot and Hogan. Check out the extensive day by day report filled with over 100 new exclusive pics, the full press review about the event, a transcription of the very interesting press conference and lots more! 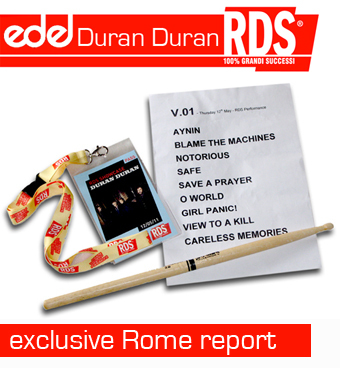 February 21, 2011 | Press release | Duran Duran have signed an exclusive UK deal with independent sales and distribution company Essential Music, to release the full-length physical version of their 13th studio album All You Need Is Now, slated for release March 21st. Featuring five brand new tracks, the extended lp comes three months after a critically-acclaimed nine song version of the record was released digitally, exclusively on iTunes, and hit the #1 spot on download charts in 15 countries [including the UK]. The new deal, will see Essential Music handling sales and distribution of the 14 track extended album in both digital and physical formats, across all retail and online outlets, including Amazon, HMV direct and Play.com. February 7, 2011 | It's been a very busy time for the guys since I last updated the site, lots of media activity, the announcement of the Uk tour dates and the first big live event since the album release, at the Pepsi Fan Jam - Grand Prairie in Texas. There's a lot to report about so let's start from the latest events. 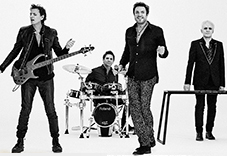 So in case you have missed something here is your recap on all the current Duran Duran things! How cool is start a new site update with so many intriguing news, and it's even cooler if you have such a great and artish photo session to play with! These great pics are part of the 12 page feature on the february issue of Love magazine just out in Uk! Scans of this and other magazines are up on this new special news page! Check it out! January 18, 2011 | Just announced the release date of the physical album and single: march 21 and february 24! Duran Duran are planning to tour the world in 2011, including some special shows, where they'll play the new LP front-to-back. "Writing and recording a new album is the most challenging part of the job," says Taylor. "Now we can relax and plan our year on the road". More press coverage, news and pictures! Check out the new site update! 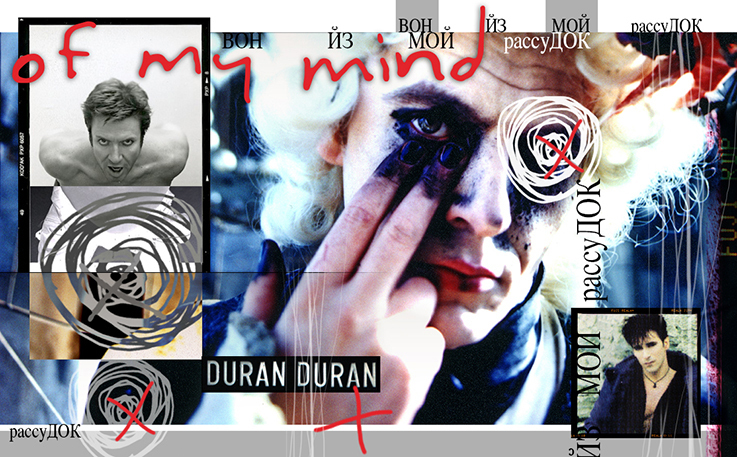 This is not the official Duran Duran website | www.duranasty.com is a fan-site made with passion from a fan to all the fans of Duran Duran on Planet Earth. 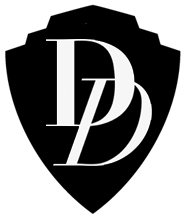 www.duranasty.com is listed on the links page of Duran Duran's official website.